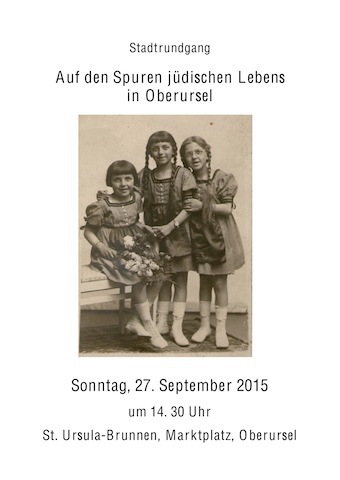 On Sunday, 27 September 2015, Ms. Angelika Rieber, historian and appointed city guide, will take you on a tour of former Jewish life in Oberursel. We took our walk through the former military post Camp King in Oberursel this past Sunday. In part 1, Mr. Kopp and I talked about the Kinderhaus, the oldest building on the grounds and now housing the archive, as well as the King Memorial Site. In part 2, we covered the past and future of both the Mountain Lodge and the chapel. I’ve just noticed… the big tree on the right is no longer there. It had to go to make room for the coming extensions of the building. 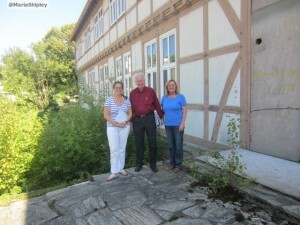 On Saturday, 20th August, 2011 there will be a tour of the area in Oberursel known as “Camp King” with local historian Manfred Kopp. 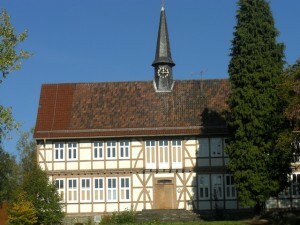 The tour covers the history of the area from the Reichssiedlungshof in the 1930s, through the time of the Dulag Luft up to the end of the U.S. Army presence in the town. 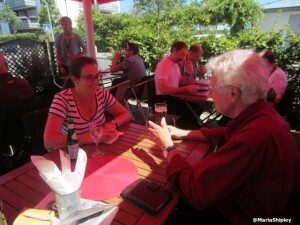 The meeting point is the Edeka parking lot at the corner of Camp-King-Allee at 2 pm, and the tour costs 3 EURO. It ends at the Kirchenladen where archive material can be viewed. This is an interesting opportunity for local residents to learn more about the history of the area that they live in.